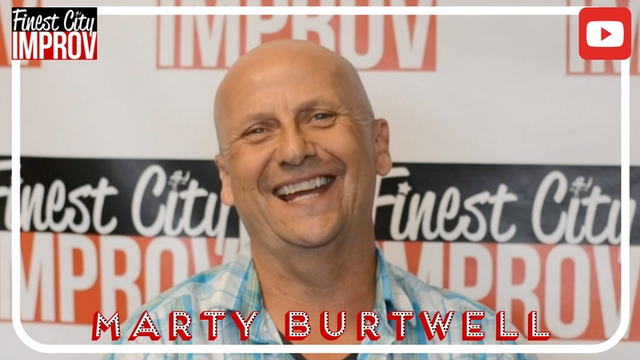 We got to chat with the one and only Marty Burtwell! He’s a stand-up comic who decided to try improv for fun once moving to San Diego, and he decided to stick around (he’s in Level 4!) for the community, support and performance opportunities! This left-handed Pisces hails from Vancouver, Canada. He moved to San Diego about 10 months ago. When it comes to hobbies and interests, Finest City Improv tops the list! Others include hot yoga, playing slo pitch, basketball, and he’s always trying to do the next right thing.